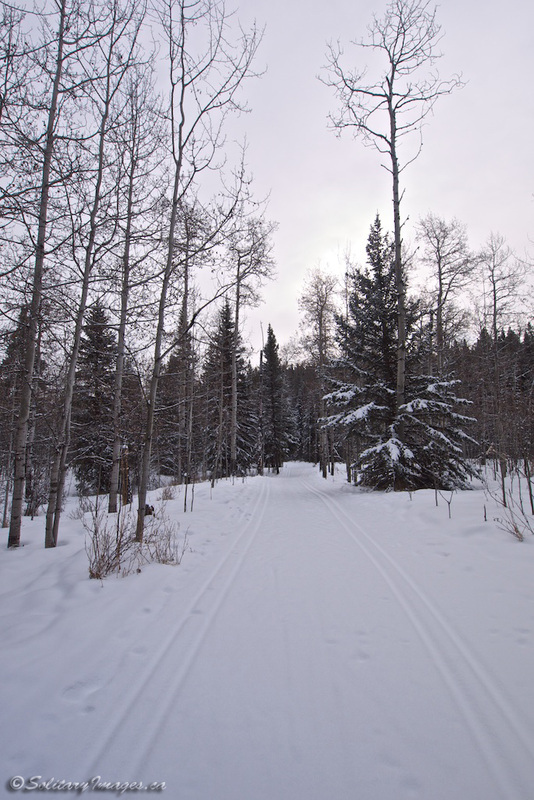 One of the best ski trails in West Bragg with great flow and an excellent descent. 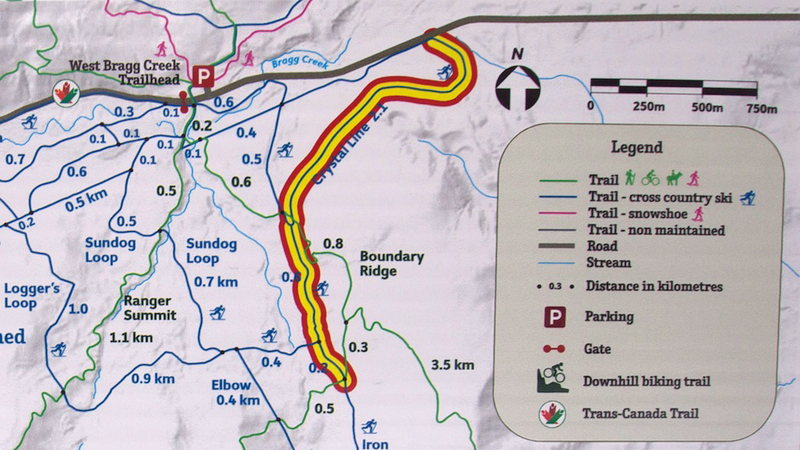 Lots of options exist to extend your day by adding some of the other nearby trails. Trail Description: (clockwise) From Trailhead #1, head east (towards town) along the trail (photo #2) running on the southern edge of the Access Road (Centre Ave). 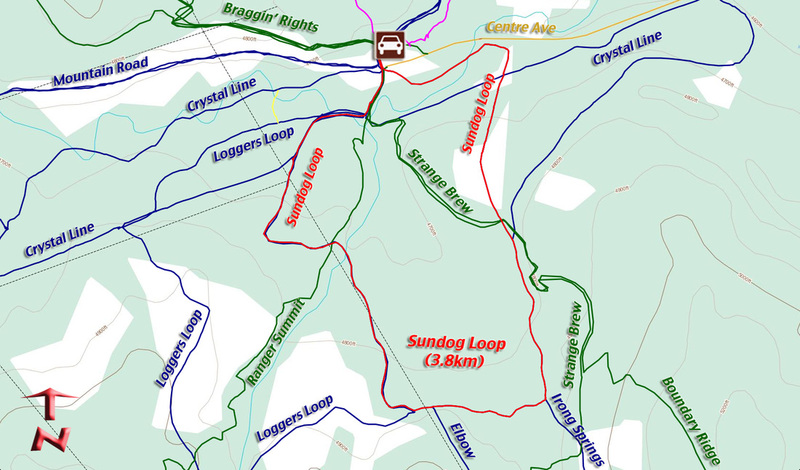 This trail will loop around and turn southward crossing over Crystal Line as you start to climb up a short hill and across a small meadow. 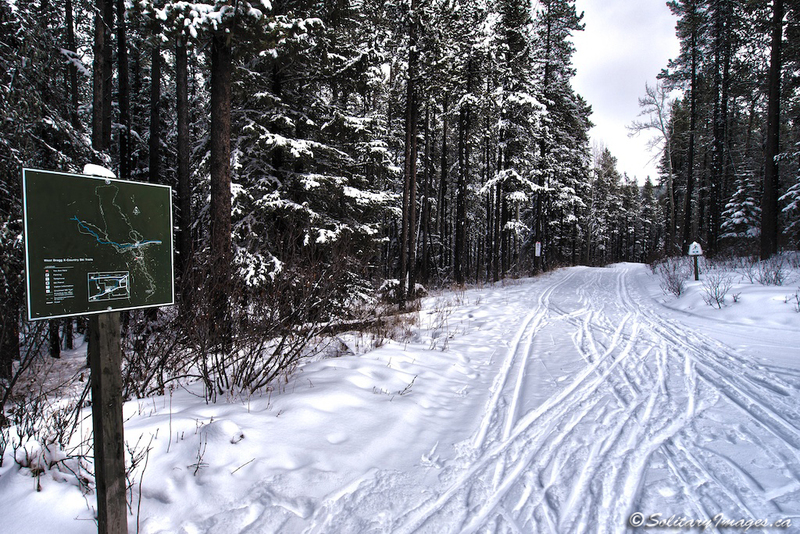 Continue straight through the second junction of Crystal Line and Boundary Ridge. 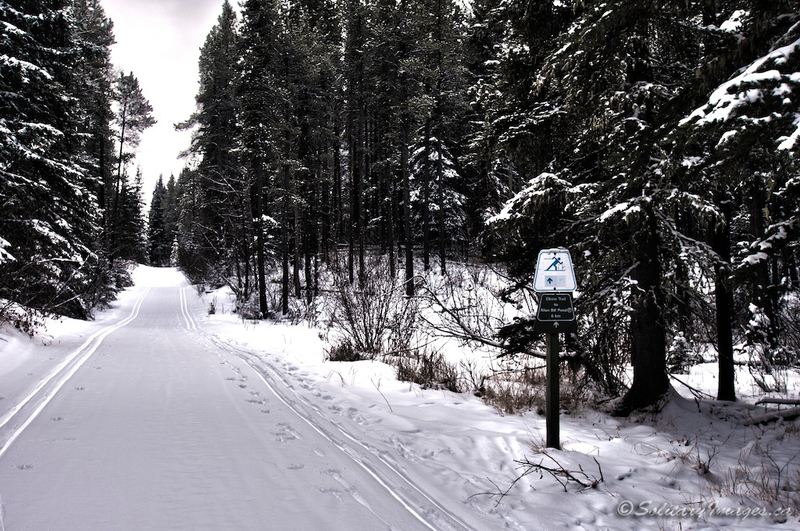 Take your next right at the junction of Iron Springs and straight past Elbow Trail junction (photo #3) followed quickly by a right at Loggers Loop junction. 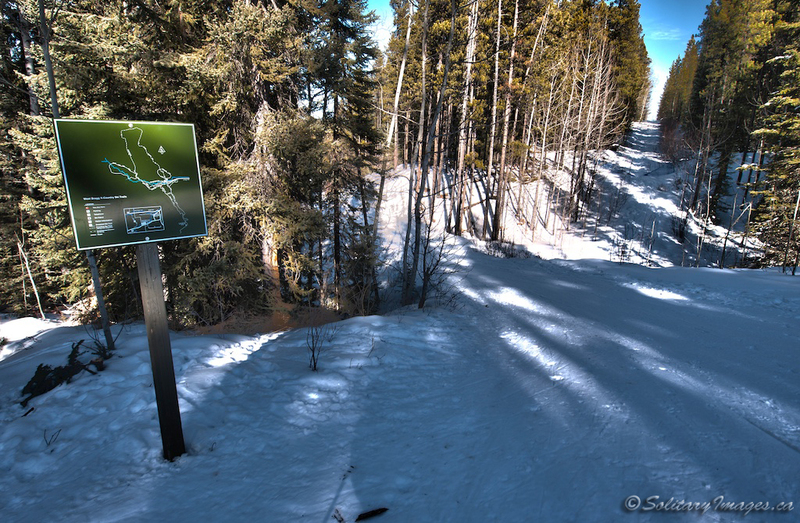 Enjoy this great descent crossing Ranger Summit and Crystal Line (photo #1/#4) once more before merging right to the final stretch. At the four way intersection, turn left and cross the bridge back to the parking lot.